Our first tasting on the Loire reccy for the TDV 2016 at Domaine de la Bergerie in Champ sur Layon. Fantastic tasting with Anne Guégniard. On day 2 of the reccy, we had morning tastings in Chinon, starting at Domaine de la Noblaie. Our next Chinon tasting was at Bernard Baudry – with his son and Matthieu who is now in charge! Superb wines that we will be looking to import. Domaine Huet was our one and only tasting in Vouvray – and it was an absolute belter. A fantastic tour and tasting with Johan Le Calonnec. We then headed to Sancerre on Day 3 and visited Domaine Henri Bourgeouis in Chavignol. 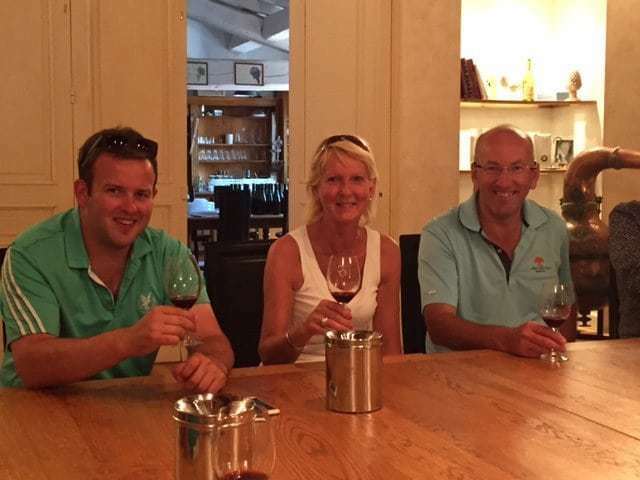 We were looked after by Alban de Gérin – and we even bought a few magnums for the long journey home! The last tasting on the reccy was at Serge Dagueneau & Filles in Pouilly sur Loire. Here we tried some terrific wines, the first being an indiginous grape variety ‘Chasselas’ – that was really excellent.